The man-made island Bluewaters Island is located off the coast of Jumeirah Beach Residence and the Dubai Marina The 1.2 billion dollar island is located about 300 meters from the coastline and is connected to the mainland by a overpass and a pedestrian bridge. The island is best known for the Ain Dubai, the huge Ferris wheel that stretches far above the skyline of the Dubai Marina. 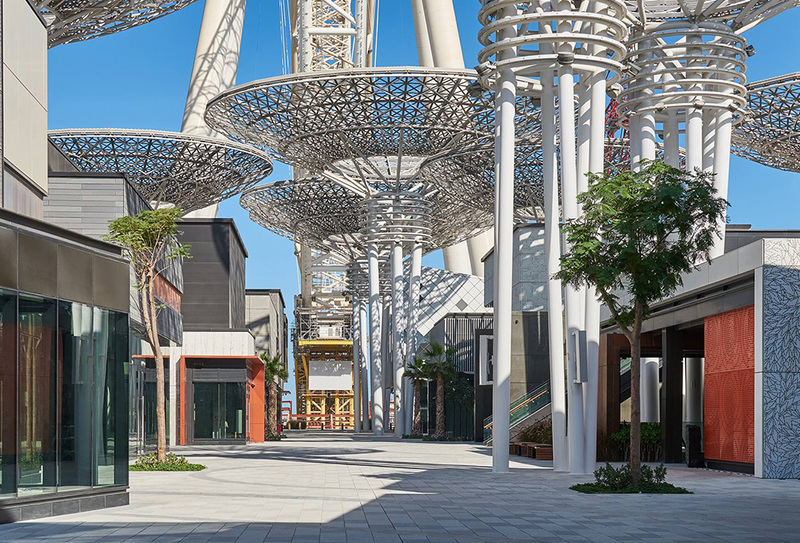 Besides the Ferris wheel which can be visited in 2019, there are over 150 shops and restaurants on the island. Spread over the island are a couple of luxury hotel resorts of Caesars Palace, the famous hotel chain from Las Vegas. You will also find a beach club with three swimming pools on the island and from 2019 a new location of the famous Madame Tussauds wax museum. What does the island have to offer? The Bluewaters Island has everything to become the newest hotspot in Dubai. Especially when the Ferris wheel is opened in 2019, tens of thousands of visitors will visit the island every day. 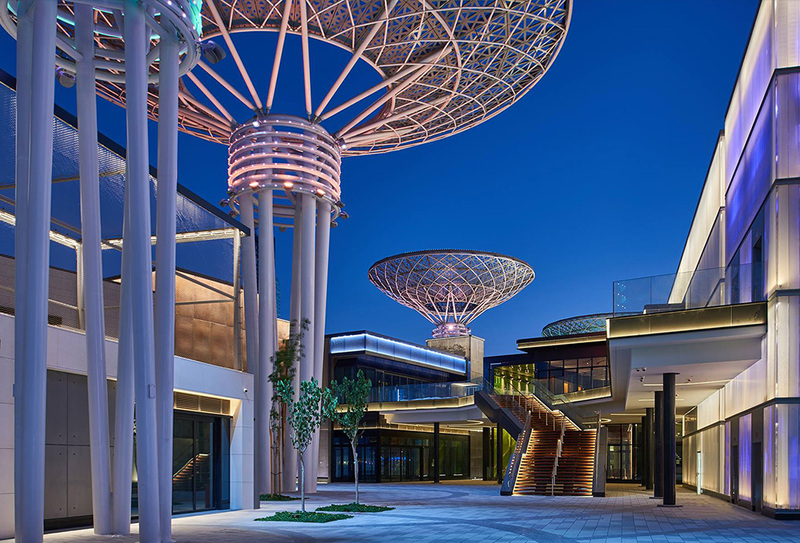 The island is divided into three main areas, a residential area where luxury apartments can be found together with a number of luxury hotel and resorts, a large shopping area and an entertainment area. The biggest attraction of the Bluewaters Island is undoubtedly the Ain Dubai. This huge Ferris wheel become the largest Ferris wheel in the world with its height of 210 meters. With this, the Ain Dubai beats the Singapore Flyer, the London Eye and the High Flyer in Las Vegas, which with a height of 167 meters is currently the tallest Ferris wheel in the world. The Ain Dubai has a total of 48 capsules that are on the road for 45 minutes to make one round. In total, a maximum of 1,400 people can enjoy the view of Dubai in the Ain Dubai. Due to a unique design of the step-up platform, the roundness of the wheel is not interrupted, when new guests get in the wheel, the wheel just keeps running. Thanks to the enormous dimensions, the gondolas of the Ferris wheel are a true living room in themselves. Each gondola can carry up to 40 passengers and offers a 360 degree panoramic view of the Palm Jumeirah island and the impressive skyline of Dubai. A number of capsules will also be provided with tables so that you can enjoy the view and dinner with up to 12 people at the same time. There are also six capsules with a bar so that you can enjoy a drink during your ride in the Ferris wheel. Not only the height of the Ferris wheel is impressive, the weight of the construction is also extraordinary. The entire wheel weighs 10,000 tons and another 7,000 tons of steel are needed to support the wheel. The four pillars on which the wheel will lean are a total of 130 meters high and in the pillars the axis of the wheel weighs 1,800 tons. 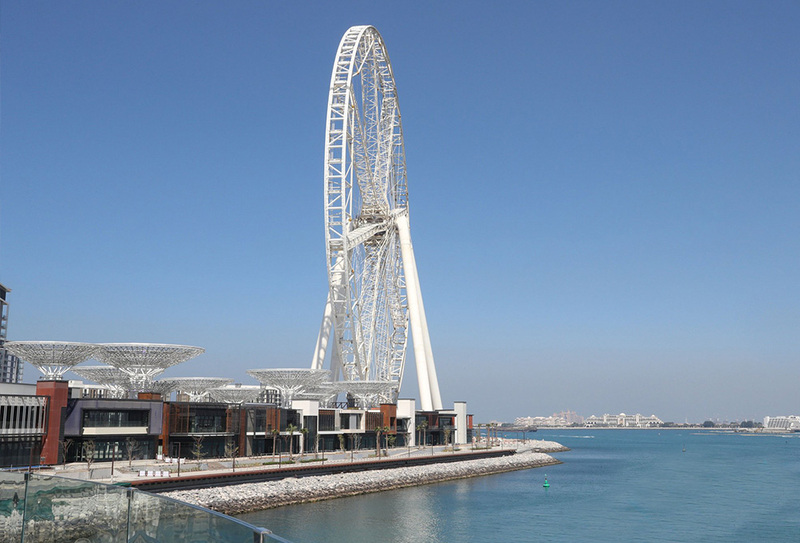 After the opening, the foot of the Ferris wheel will act as an entertainment zone with a number of enormous LED screens where videos and light shows can be projected. The total construction of the Ferris wheel is estimated at 200 million euros, whereby the construction of each capsule will cost 1 million euros each. Everything has been thought about at the Ferris wheel. The wheel is capable of surviving heavy sandstorms and earthquakes are no problem for the Ain Dubai. The wheel is designed so that if the bottom shakes the wheel remains stable. During a possible earthquake, the Ferris wheel is even one of the safest places to be, according to the developers. Safety comes first and that is why every capsule has a double air conditioning if the first air conditioning fails. That’s nice as temperatures in Dubai can rise to 50 degrees in summer. For the air conditioning to run for a long time each capsule is equipped with an emergency generator if the power fails in Dubai. 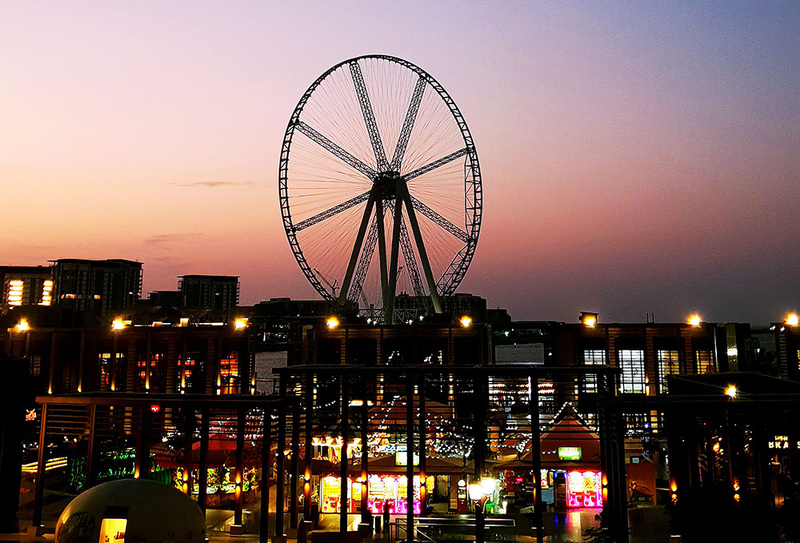 An exact opening date for the Ain Dubai has not yet been announced, but it is almost certain that somewhere in the middle of 2019 the first visitors will be able to make a round trip with the Ferris wheel in Dubai. At the start of 2019, the capsules will be hung in the frame of the wheel one by one after which the test runs can begin. It is expected that every year 1 to 3 million people will make a ride in the largest Ferris wheel in the world. In 2008 Madame Tussauds came with the news that the famous wax museum would open a branch in Dubai. It remained silent for a long time due to the economic crisis, but in 2016 the news came that a Madame Tussauds museum will be opened on the Bluewaters Island. An exact opening is not yet known, but people talk about 2019. Madame Tussauds is world famous thanks to the many museums worldwide where you can admire wax statues of famous people, artists and athletes. 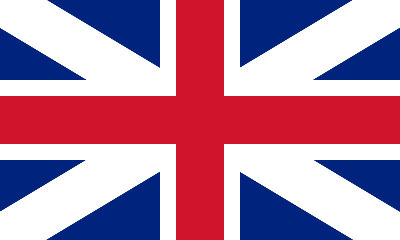 After the opening of the first office of Madame Tussauds London, numerous locations have been added over the years, including in Amsterdam, New York and Singapore. From 2019, Dubai will also be included in the list of world cities with its own branch of Madame Tussauds. It has not yet been announced who will be admired at the Madame Tussauds Dubai museum, but chances are that in addition to world stars, local celebrities, sports legends from the United Arab Emirates and historical icons including the rulers of the UAE and Dubai see. 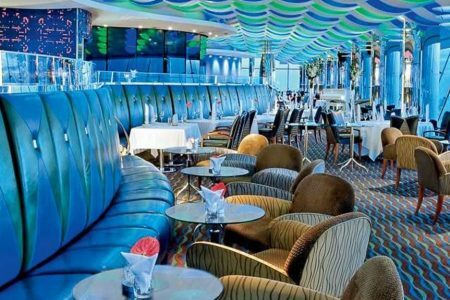 The island has more than 150 shops and restaurants where you can dine during the day and especially in the evenings with a panoramic view of the lighten Dubai Marina and Palm Jumeirah. The shops and restaurants are in the area which is also known as “The Wharf”. The first restaurants and the Caesars Palace resort are open in sinds November 2018. The restaurants on the island offer a wide choice of menus with dishes from all over the world. From Italian to Arabic and from Japanese to Mexican, it can all be found on the Bluewaters Island. One of the new restaurants on the island is the Basanti & Co restaurant where you can enjoy Indian cuisine. Those who love burgers can go to the Ketch-Up bar which brings affordable American burgers to Dubai. Ketch-Up is originally a concept from Moscow and is known for its industrial design, delicious burgers and the healthy menu for those who do not feel like hamburgers. 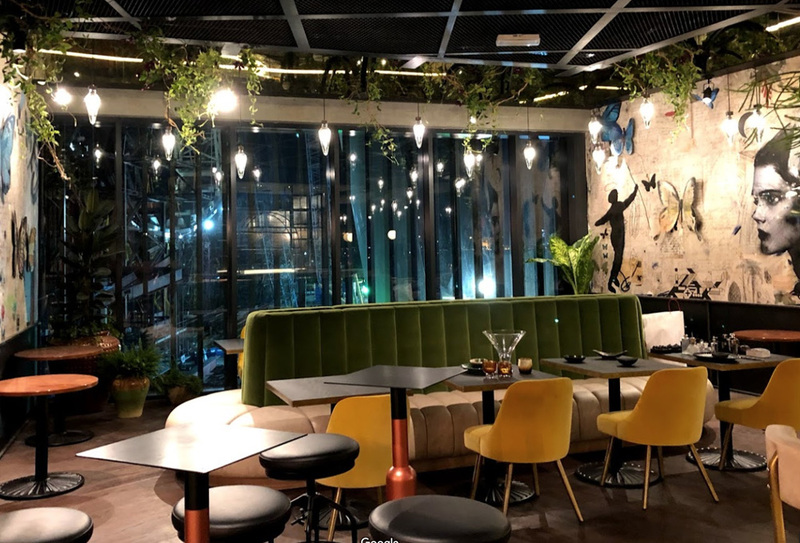 The trendy cafe L’ETO can also be found on the Bluewaters Island, the cafe already has two branches in Dubai in City Walk and the Dubai Mall Fashion Avenue. Bluewaters Island also has a restaurant of a famous TV cook. In the Caesars Palace hotel you will find a branch of Hell’s Kitchen, a restaurant concept by TV chef Gordon Ramsay. The branch in Dubai is the second of Hell’s Kitchen, the other branch can be found in Las Vegas. On the Bluewaters island you can find two hotel resorts with their own beach club. Both resorts on the island are from Caesars Entertainment, a company mainly known for the Caesars Palace hotel and casino in Las Vegas. The hotels in Dubai are the first hotels in the hotel chain that do not have a casino. 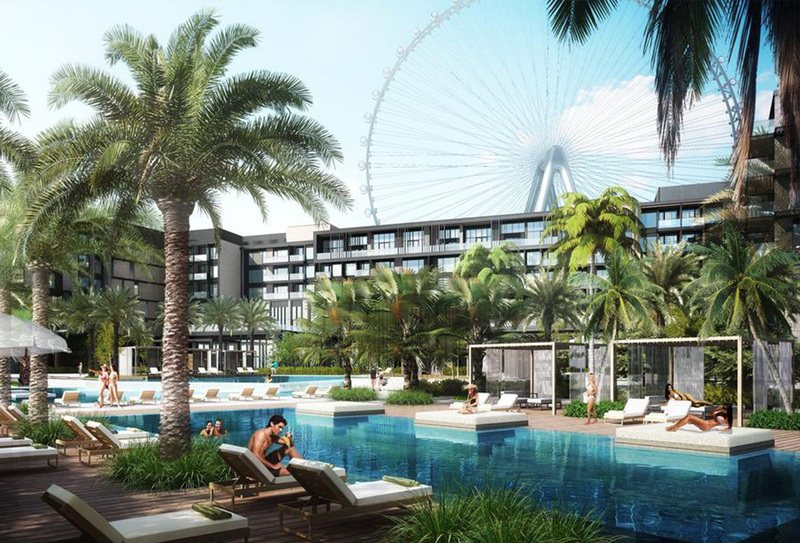 The first resort on the island is the Caesars Palace Bluewaters Dubai hotel. This hotel is the second Caesars Palace in the world, the original hotel can be found in Las Vegas. The hotel has 194 rooms, an indoor swimming pool, two outdoor swimming pools, a luxury spa and health center and six different restaurants including the Hell’s Kitchen restaurant by TV chef Gordon Ramsay. The second resort on Bluewaters Island is the Caesars Resort Bluewaters Dubai. 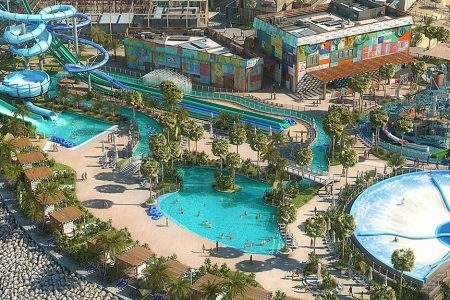 This resort is larger than the Caesars Palace Bluewaters Dubai and is more focused on families and has 301 rooms, a kids club, two swimming pools, three restaurants and bars and a large balroom. The Caesars Resort Bluewaters Dubai shares the 450-meter private beach with the other Caesars hotel on the island. In the middle of the private beach is the private beach club of the resorts, Cove Beach Club. This beach club has three private pools, two restaurants and a large terrace. Not only during the day you can relax at the Cove Beach Club, even in the evenings there are regular parties given on the Wednesday night Ladies Night. Besides the hotels, shops and restaurants, you can find also houses on the Bluewaters Island. On the island there are in total 698 apartments and 17 luxury villas to be found which all have private pools and a beautiful view. The apartments prices starting at 500,000 euros and up to several million euros. The Bluewaters island can be reached thanks to the overpass that connects the island to the mainland. From the Sheik Zayed Road you can easily travel to the island by car or taxi. 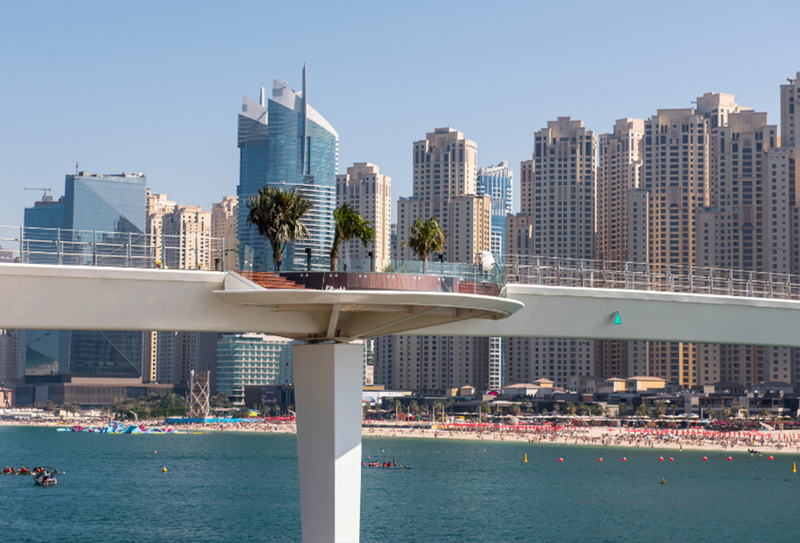 In addition to the overpass, there is also a 265 meter long pedestrian bridge which connects The Beach and the JBR to the Bluewaters Island. From the bridge you have a magnificent view of the island itself and the skyline of the Dubai Marina with the JBR Beach in the forefront. You can park in one of the parking garages on the island or at the valet parking which is available at various locations on the island. Parking in the parking garages is not free, the exact parking fees are not yet announced. In 2019 there will be another opportunity to travel to the island with the Group Rapid Transit (GRT), a modern transport system that will have to connect the island to the metro network of the city. 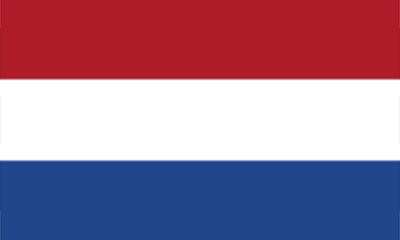 For this system, Dubai went to look around in the Netherlands and eventually ended up at the company 2getthere. This Dutch company will develop the autonomous vehicles and transport systems that will connect Blue Waters Island to the rest of the city. The innovative system with self-propelled capsules / cars goes and gets transport capacity of up to 5,000 passengers per hour per direction. This will make the system the largest in the world of its kind. This new connection will therefore become a showcase for the future in the area of ​​autonomous transport. The restaurants and cafes on the island are open daily from 10 am to 1 am. The shops on Bluewaters Island are open from sunday till tuesday between 10:00 am till 11:00 pm. Thursday and friday the shops are open from 10:00 am till midnight. On the island there are a large number of public toilets that can be used free of charge. For disabled visitors there are special toilets together with changing places for babies. For people with limited mobility, free wheelchairs can be borrowed. Divided over the island there are also prayer rooms where you can pray in peace. 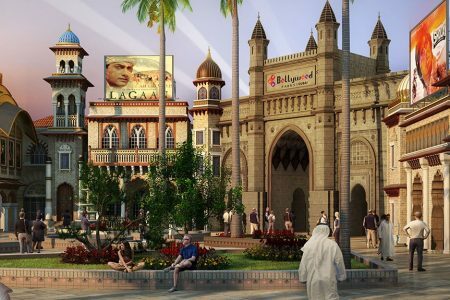 For more information about the Bluewaters Island visit the website of the island: www.bluewatersdubai.ae.